A published novel is always the work of a team. One of my favorite parts of books is the acknowledgment’s page. Go ahead and call me a book nerd, but I love to see all the people that have contributed to a finished manuscript. Almost always the name of a critique group will be included with a list of names. 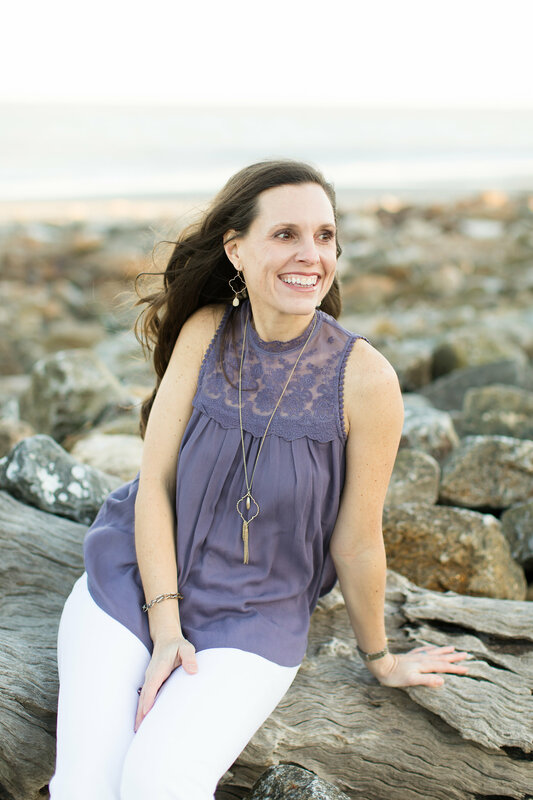 At my first writers’ conference, I set out on a mission to find my group and prayed God the right people in my path. My First Critique Group at the 2016 ACFW Conference. Photo credits Kailee Diaz. Also pictured Amanda Everett and Lauren Luckhart. 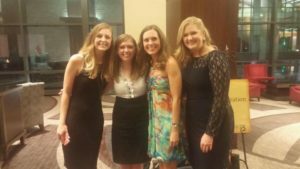 It’s hard to believe it’s only been a year since I met four aspiring authors at the AmericanChristian Fiction Writers Conference in Nashville, Tennessee. We live in four different states and are of all ages and stages of life. I fill the role of the old lady with three kids. These talented women have provided much-needed critique, prayer, encouragement, and often just the right phrase or word. I credit one of them with writing the best opening line for my book blurb and pitch. But one critique group wasn’t enough for me, I now have two more groups of writers to help me on my quest. I need a lot of guidance. One group is mostly for encouragement and has a cute name, but when one of us needs a quick edit, we can hop on our private Facebook group and someone is usually available. Plus, it’s nice to have a safe place to be honest, and let’s face it, vent about the ups and downs of the publishing industry, but only so we can pray for each other of course. After attending my second writers’ conference, I learned about the Word Weavers critique group that met near my home. Last weekend, I joined them for the first time at the Panera Bread in Fleming Island. At this gathering, one person reads aloud what you have brought and the rest follow along, jotting notes and making suggestions on their own copy. Yikes!!! (Yes, that did deserve three exclamation points.) Nothing like having people you’ve only met once or twice discuss your writing. I certainly didn’t need the cup of Hazelnut coffee, the fear of their thoughts in this open forum caused adrenaline to pump through my veins like I was sprinting for my life. By the way, I forgot to mention as the writer, you are not supposed to respond to the comments. Good news, they were very kind and liked my piece, while they also made valuable suggestions. This, my friends, is not always how my critiques go, and I’m usually very glad to be by myself and several states away from the person commenting on my work. I may, just may, call her a name or shout my disbelief at her opinion. But most of the time, after I take a few minutes or hours or sometimes days to process the critique, and even when I disagree with a comment, it points to something I need to alter. This is how we learn and grow, and sometimes it is a little painful but well worth the results. In writing, as in life, the best friends are the ones that will tell you the truth even when it hurts, and trust me nothing hurts more than seeing a red line drawn through one of your brilliant sentences. But it also feels amazing when one of your critique partners starts her comments with “this is some of your best writing,” or “I love your voice.” The best part of my groups is that they care enough to point out the problems, but also pour on the praise when it’s warranted. We all cheer when one of us wins an award, signs with an agent, or publishes a book. So, since, I don’t get to include an acknowledgment’s page with my flash fiction stories in Spark, and I’m waiting to hear back from an editor for my book, I want to say thank you to the fantastic members of my critique groups. Y’all are the best! Thank you: Kailee, Lauren L., Amanda, Lindsey, Kimberly, Hope, Kelsey, Anna Grace, Lauren C., Jenifer, Victoria, Kelly, and Shari. How do you take constructive criticism? Do you have a group of friends or a person that will tell you the truth no matter what? Leslie I also read the acknowledgements and the bio. Sounds like you have a great support team. Wishing you the best on your journey.